Preserve the past using the technology of today in state-of-the-art labs with expert faculty by your side. One of only a few across the nation, our auto restoration program covers everything you need to know to restore vintage vehicles to their former glory. From basic painting and non-structural repairs to advanced woodworking and upholstery installation, students master the art of restorative techniques. Thanks to small class sizes, lots of lab hours, and access to museum-quality vehicles, you’ll leave real-world ready to impress even the most discriminating collectors and museum professionals. A wide variety of automotive restoration businesses, including automotive restoration shops, custom fabrication shops, automotive museums, automotive auction houses, private vehicle collections, specialty parts fabrication, and classic vehicle maintenance and repair. The RPM Foundation awarded Penn College an educational grant to provide monetary support for the Automotive Restoration Technology major. 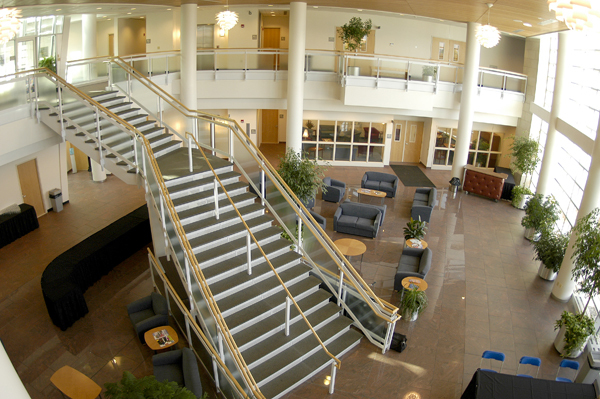 Seats in this major are conditionally reserved for those interested students who have met the entrance requirements for admission to Penn College. Students who receive these reserved seats must achieve a cumulative grade-point-average of 3.0 in ABC 100, ABC 104, RST 100, SAF 110, and WEL 105, and remediate any deficiencies prior to enrolling in RST 101 and second semester courses. Students must have a valid driver's license to enroll in RST 160, which is a required course in the curriculum. Students officially admitted in this major and graduating in Automotive Restoration Technology may re-enroll, within two years, into Collision Repair Technology. Upon successful completion of the required 33-credits, the student can petition to graduate with an AAS in Collision Repair Technology. Students must maintain a "C" or greater in all RST courses. If a "D" or lower is earned, the course must be repeated. Students should work closely with their advisers and with the program faculty to ensure that they are meeting all criteria for satisfactory progress in the program. Failure to maintain a cumulative GPA of 3.0 in the specified courses, or finish remediation in the first semester at Penn College, will result in the student being removed from the Automotive Restoration Technology major and placed into the Collision Repair Technology major or another major of their choice, provided the student meets the requirements for acceptance in the major. You are required to have a uniform and hard-toed shoes for lab classes. It is recommended that you purchase three uniforms. Mr. Michael W Engard, Owner, Ragtops & Roadsters Inc.
Mr. Dennis Frick, President, Europa Macchina, Inc.
Mr. Stephen R Hall, Funeral Director, Trefz & Bowser Funeral Home, Inc.
Mr. Ronald G Smith, '80, Owner, Superior Auto Service Co., Inc.
Ms. Lori Van Houten Frick, Vice President and COO, Europa Macchina, Inc.